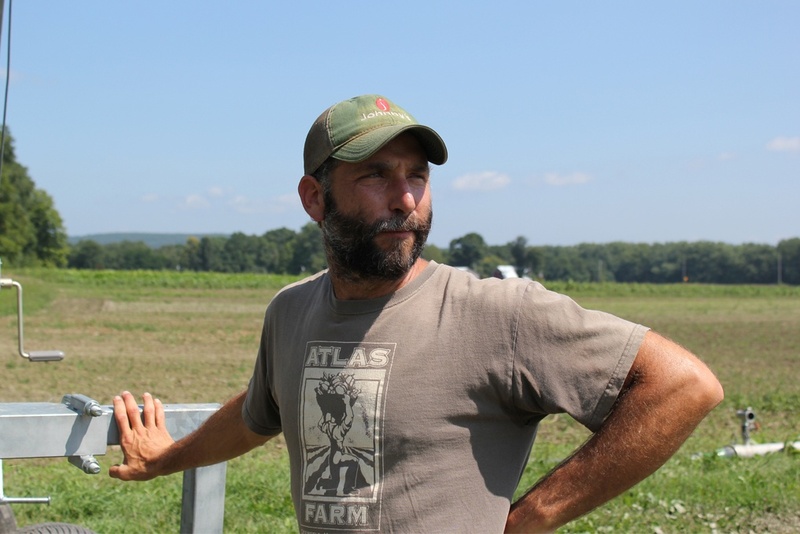 Atlas Farm is one of Boston Organics’ oldest farm partners, and, as Gideon Porth, the farm’s owner told us, the two businesses have really grown side by side. Throughout the late spring and summer, we have seen beautiful lettuce and leafy greens, peppers, squash and more from Atlas. The farm is 95 certified organic acres in Deerfield, MA. 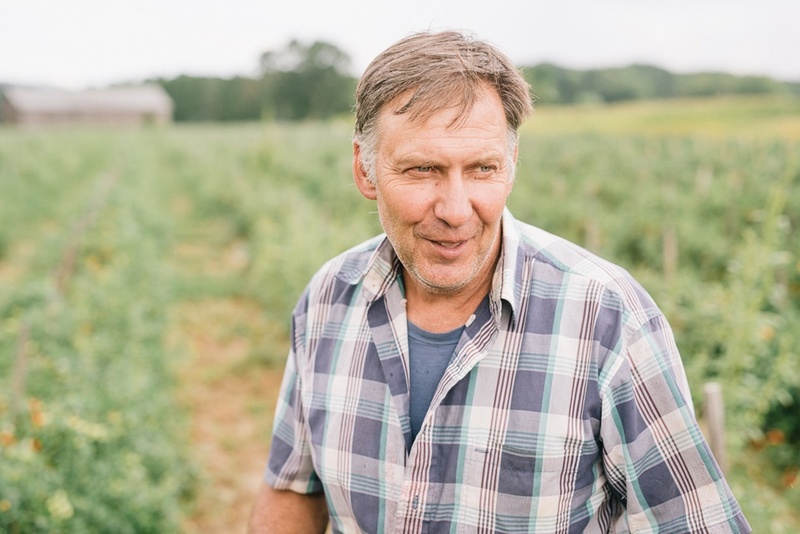 Gideon and his crew have a passion to more closely connect people with their food, a commitment to environmental sustainability, and a desire to positively impact the local economies of New England. One of their long-term goals is to become a 100% bio- and solar-powered farm. Working towards this end, they have installed two solar power systems on the farm which meet 75% of the main farm's electrical needs as well as the full electrical needs of the farm's store and greenhouses. Gideon and his team have also installed a biomass heating system that heats one of their greenhouses and hopes to design a central heating system that would allow them to heat each of their farm buildings sustainably. The Kitchen Garden Farm is a 50-acre, certified organic farm located in Sunderland, MA. 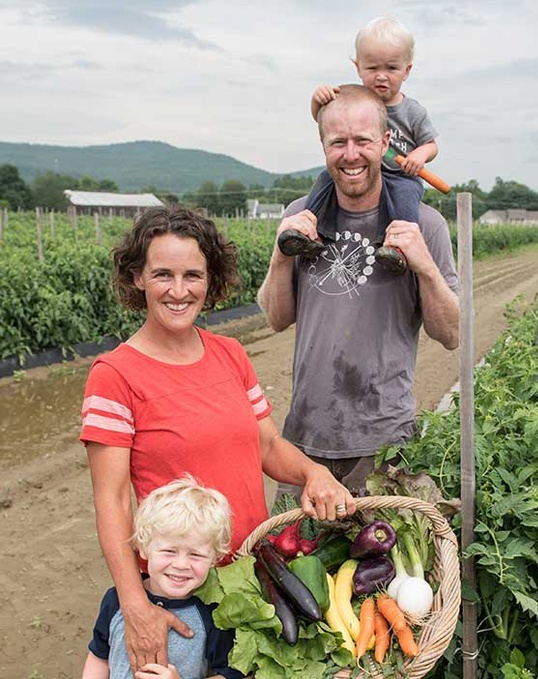 The farm is owned and operated by Caroline Pam and Tim Wilcox, a couple passionate about all things food and the craft of growing the most delicious produce possible. So far this year, Boston Organics' customers have enjoyed bunched root crops, early spring produce like baby bok choy and mustard greens, and, more recently, the coveted summer harvest of cucumbers, heirloom tomatoes, peppers and eggplant from the The Kitchen Garden Farm fields. Caroline and Tim are doing the invaluable work of converting the agricultural lands of their community into organic production while supporting the next generation of sustainable farmers. 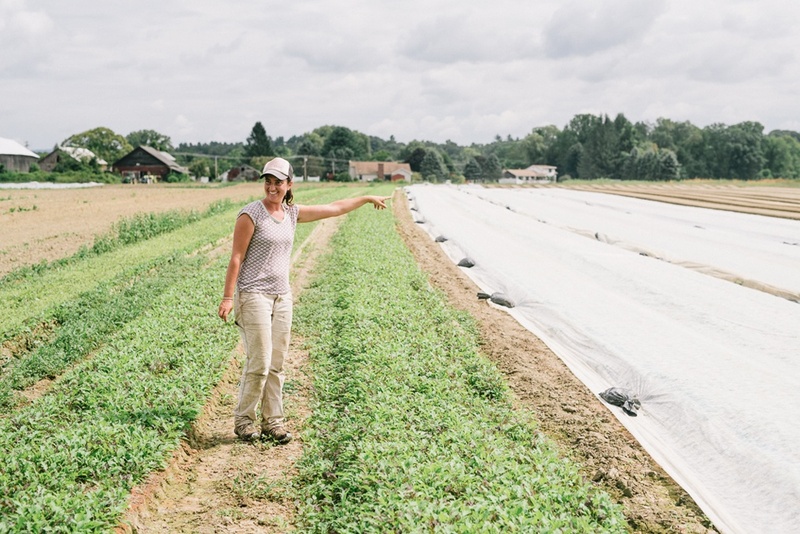 The duo is highly involved in their local community and Caroline is a periodic contributor to Edible Pioneer Valley and a monthly contributor for the Daily Hampshire Gazette. 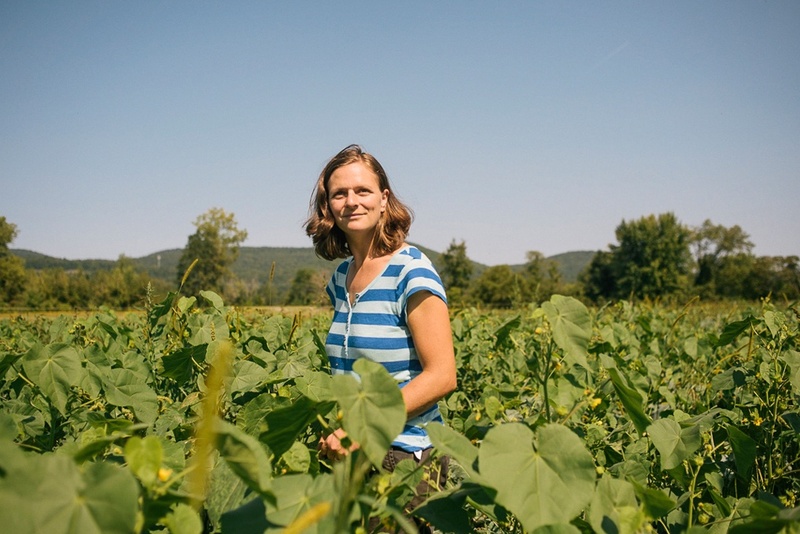 If you have a second, take a moment and read her article about women in farming! Not too far down the road from The Kitchen Garden Farm is Queen’s Greens, which has farmland in Sunderland and Amherst. Farmers Danya Teitelbaum and Matt Biskup have both worked on farms for about ten years and bring a spirit of experimentation to their farm. Danya told us that she enjoys growing “weird” or unusual crop varieties, especially because often “they’re just better." They only sell their produce wholesale, which allows them to spend more time in the fields and less at farmers’ markets. His operation is significant. Joe grows on 400 acres spread throughout Massachusetts, Vermont and Connecticut, 162 acres of which are certified organic. Much of his land in Hadley was once covered by the prehistoric Lake Hitchcock. When the lake dried up, it left behind the rich, deep, fertile soil that helps nourish Joe’s organic corn, cherry tomatoes and butternut squash. Joe says that he “likes seeing things grow,” and is very knowledgeable about how to help his plants thrive. His organic sweet corn is coming available to Boston Organics' customers this week and we are so excited to start munching on one of summer's most quintessential crops. One of our newer farm partners is Riverland Farm, owned and operated by Meghan Arquin and Rob Lynch. Rob and Meghan met while working at the Food Bank Farm in Hadley, MA. After working together for a number of seasons in Hadley, they started Riverland Farm in 2007. They now cultivate 40 acres of certified organic fruits and vegetables. From beautiful bunched spinach to perfectly sweet melons, Riverland offers high quality organic produce that is grown with a deep respect for the agricultural land on which they grow and reverence for the communities they work to feed. All of the fruits and vegetables we deliver are grown without synthetic pesticides and are USDA certified organic. 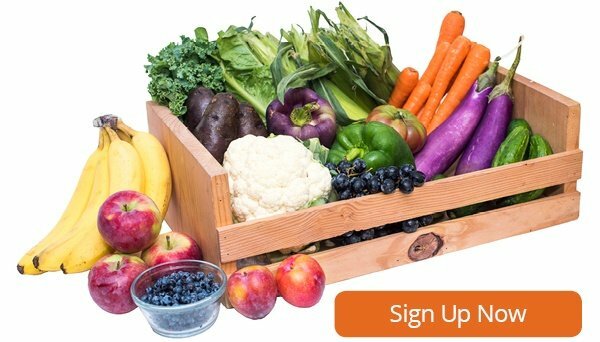 Interested in receiving produce that's both organic and locally sourced all year round? Check out our Local Dogma Box. Similar to a CSA or farm share, our Local Dogma Box is filled with the best organic produce from local and regional farms and brought right to your door each week. It's the easiest way to eat like a locavore!